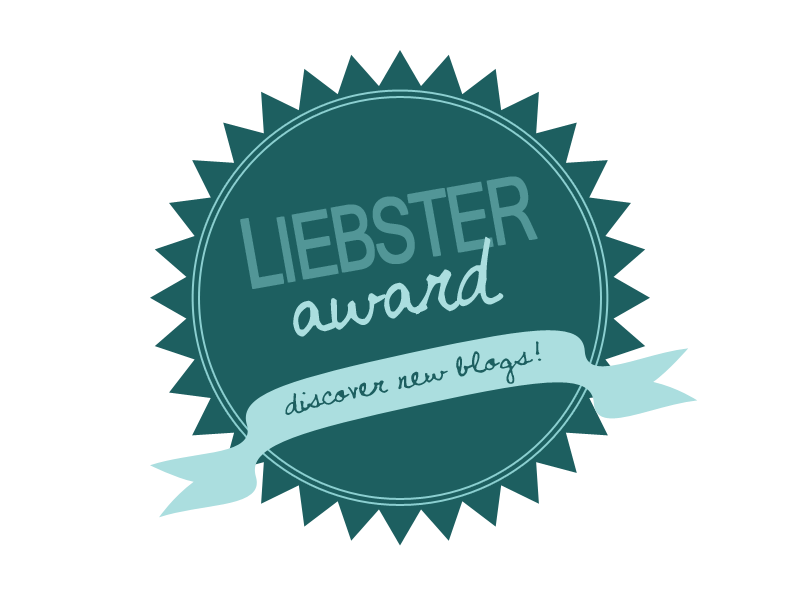 About myself and the lovely Liebster Award Time! Thank you so much to the http://lostincake.wordpress.com, thank you so very much and I simply love the job that you have done with your blog and HOPE I can get my blog up and running the same. I haven’t really ever expressed how much I truly love blogging and why I even blog, so here it goes. My true passion in life is to bake pastries, I couldn’t really imagine my world without it all. I spend all my days reading through all my favourite recipe books. As you all know from reading my blog my ultimate baking hero is Mary Berry, so I do a lot of reading through her recipes and also watching her masterclass shows. One of my greatest pastimes obviously would be to bake, however I truly love watching The Great British Bake Off, The Great Australian Bake off, Sweet Genius, Top Chef – Just Desserts, Save My Bakery (Kerry Vincent), Cupcakes wars, DC Cupcakes, Masterchef, Cake Boss and many many MANY more! Recently my baking passion has really come to light and my mother has been a dramatic influence. It took a lot for me to realise that where I am in teaching right now is lovely and amazing yet all I think about is working or even owning a boutique bakery. For me working 12 long hours doing nothing but what I truly love makes more sense to me than anything in the entire world. It may be difficult to get there but really I’m too determined not to let my dreams slip away any longer. I have been looking constantly at all the pastry schools here and in Singapore and in the UK however none have caught my eye. Then I attended an open house here in Singapore on June the 6th 2014 at Sunrice GlobalChef Academy (https://www.facebook.com/atsunrice) and I instantly fell in love. My mother came with me and honestly… I was like a kid in a candy shop! My heart was racing and my eyes were BULGING out their sockets. In that moment all my mum said to me was ‘Sam, I will do anything to get you into this school’ and from that promise onwards I have been nothing but the happiest girl alive… BUT I still need to get into their Pastry and Baking course first! I will promise to keep my blog up to date with whether or not I get accepted yet for now all I can do is hope and pray. Link back to the person who nominated you. Answer 11 questions that were asked by the person who nominated you. Nominate 11 people who you think deserve the Liebster Award. Ask 11 questions to your nominees to answer. 8- I love to do a workout every day at least for 30 minutes… except friday saturday and sunday… gotta have a time off right? 11- My favourite celebrity is Helena Bonham Carter because she is wacky, crazy and has a little evil side. What is your dream travel destination? I would love to go to the MALDIVES… before it sinks. What are your favorite pizza toppings? Cheese and pesto is my go to topping! Favorite city in the whole world? I’m going to say Singapore, because I always feel safe. Dream celebrity date? Russell Brand… what a strange man! Favorite color and why? Purple because its PURPLE. What is your guilty pleasure? SHOPPING… who’s isn’t? If you could change one thing in your personality, what would it be? Why? I would change the fact that I don’t have much confidence in myself. 1- If you could go back in time to change one thing what would it be? 2 – Whats your favourite TV program? 3- Whats your favourite alcoholic drink? 4- If you were a super hero what powers would you have? 5 – Who’s your favourite Comedian? 6 – Chocolate or Peanut butter? 7 – Whats your favourite dessert? 8 – Who’s your ultimate celebrity crush? 9 – What are your weaknesses? 10 – If you could change your name what would it be? 11 – What has been your worst haircut/style? It was a very relaxing weekend for me and my boyfriend. One of the relaxing almost LAZY weekends, why hey we all need them right? 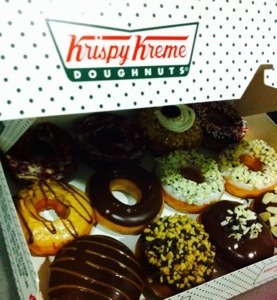 I was so excited to go to the very first Krispy kreme in Singapore. All I can say is… It was bloody gorgeous. The first flavour that crabbed me was the one and only RED VELVET. 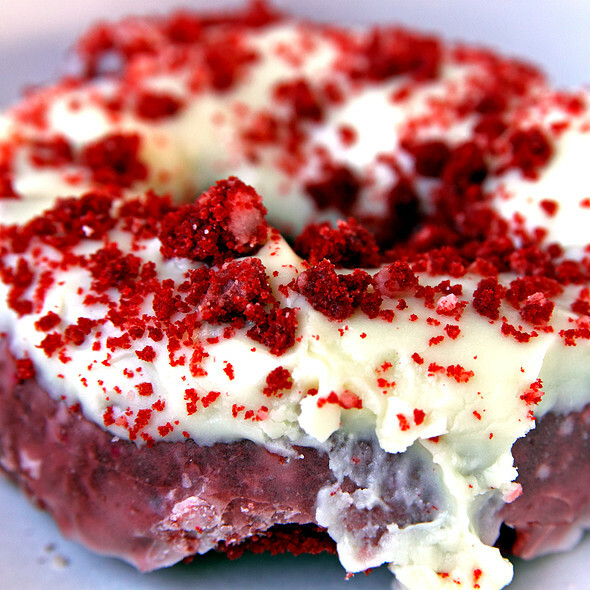 Yes a Red Velvet DONUT, it exists! Honestly is what heaven in a box… Of course we had to buy a dozen of them it else our trip there would be a waste (still got 6 left). I also LOVED the Caramel Kreme, a donut glazed with chocolate and caramel drizzle AND a gooey caramel filling. Think I went into my little food coma after them two donuts, so yes they are highly recommended by moi! 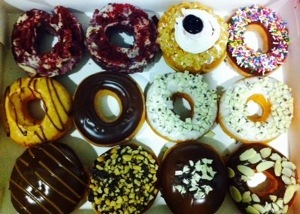 As much as I do love Krispy Kreme donuts nothing beats a good old hot and sugary donut from the UK. 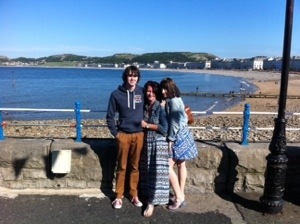 I remember on a Saturday we would go down to the pier and buy a bag of lovely hot donuts fresh from the fryer… YUM. I do miss a lot f British treats, but gotta admit the Americans know how to make a damn good donut. English pier + sunshine. 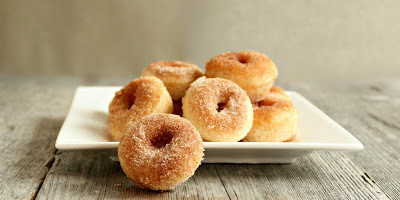 Perfect time for a sugar donut! So anyone living in Singapore reading this… GO TO KRISPY KREMES… Now! Trust me you won’t regret it. It’s in the basement of Tangs mall on Orchard road. Ratings… ⭐️⭐️⭐️⭐️⭐️ nothing less than 5. I was nominated by the wonderful blogger Paula from All about the bake! Thanks for the nomination 🙂 and here are my answers! 1. What one thing in your wardrobe could you not be without? My hairbands, I’m obsessed! Wear one every single day. 2. What’s your best stress reliever? 3. Spender or a saver? I am a big spender, it’s a gift from the shopaholic gods. 4. If someone asked you to give them a random piece of advice, what would you say? Start Baking to live on cloud nine, it will chase the worries away! 5. If you could learn one random skill, what would you learn? It would be to bake the perfect french macaroon! 6. What is the strangest thing you believed as a child? I was so scared to sit on the toilet as I truly believed snakes lived in there. 7. What’s something that amazes you? People who get botox, aged naturally! 8. Whats your favourite colour? Why? 9. What’s your favourite gadget? Phone, couldn’t live a single day without it! 10. When do you find yourself singing? Everywhere and ANYWHERE, yet mostly in the shower! And here are your questions! 1. If you could date any celebrity who would you date? 2. One item that is most important to have in your handbag? 3. One person you rely on for advice? 4. Have you ever met a celebrity? 5. If you could have any pet in the world who would it be? 6. What was the biggest life changing decision you have made? 7. Whats the first thing you do when you wake up? 8. Whats your favourite dessert? 9. Worst chat up line you’ve ever heard? 10. Are you a coffee or tea lover?